Our Actual Enemy. . . Opinions are solicited and appreciated. 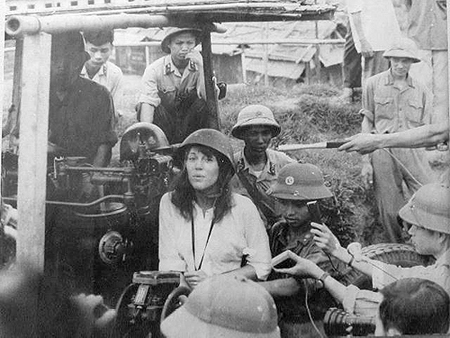 Jane Fonda in all her glory posing in a North Vietnamese anti-aircraft gun emplacement! News article courtesy of Tim Fischer - 3rd Platoon, Charlie Company. Lieutenant John F. Kerry - U.S. Navy - America's 2nd most famous anti-war protestor. 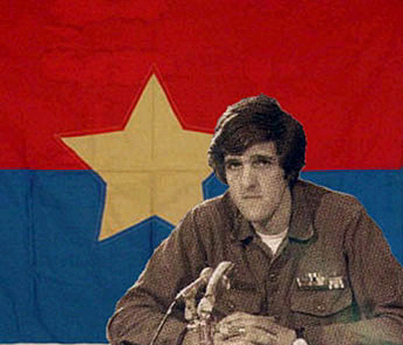 Kerry's activism gave extraordinary support to General Giap. 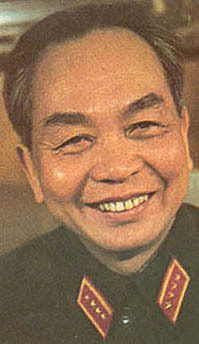 General Vo Nguyen Giap - North Vietnam's most famous military leader. Celebrating the 29th anniversary of the fall of Saigon, the North Vietnamese general who led his forces to victory said Friday he was grateful to leaders of the anti-war movement. "I would like to thank them", said General Vo Nguyen Giap, now 93, without mentioning Kerry by name. "Any forcesthat wish to impose their will on other nations will surely fail", he added. Reuters, which first reported Giap's comments, suggested that the former enemy general was mindful of Kerry's role in leading some of the highest profile anti-war protests of the entire Vietnam War. "The Vietnam War, known in Vietnam as the American War, has become a hot issue in the U.S. presidential race with Democrat John Kerry drawing attention to his service and President Bush's Republicans disparaging Kerry's later anti-war stand." North Vietnamese Colonel Bui Tin, who served under General Giap on the general staff of the North Vietnamese Army, received South Vietnam's unconditional surrender on April 30, 1975. In an interview with the Wall Street Journal after his retirement, Colonel Tin explicitly credited leaders of the U.S. anti-war movement, saying they were "essentially to our strategy." "Every day our leadership would listen to world news over the radio at 9AM to follow the growth of the anti-war movement," Colonel Tin told the Journal. Visits to Hanoi by Kerry anti-war allies Jane Fonda and former Attorney General Ramsey Clark and others, he said, "gave us confidence that we should hold on in the face of battlefield reverses." 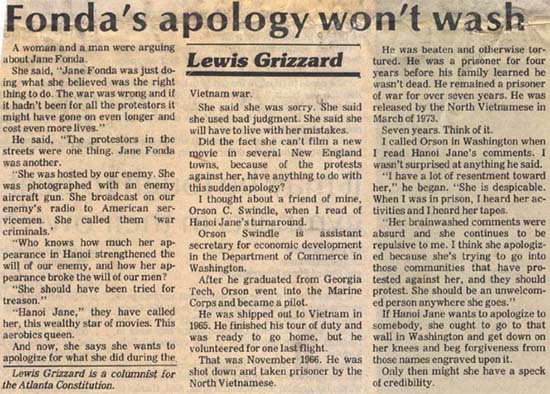 "We were elated when Jane Fonda, wearing a red Vietnamese dress, said at a press conference that she was ashamed of American actions in the war," the North Vietnamese military man explained. Kerry did much of the same thing in widely covered speeches like the one he delivered to the Senate Foreign Relations Committee in April 1971. 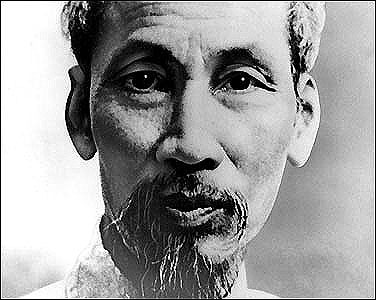 "Through dissentand protest [America] lost the ability to mobilize a will to win," Colonel Tin concluded. In February, 1968, Walter Cronkite returned to New York after observing the Tet Offensive, and pronounced the Vietnam war unwinnable. The broadcast is said to have been a signal moment in the Johnson administration's attitude toward the war. "If I've lost Cronkite," Johnson reportedly told an aide, "I've lost middle America." By Gene Kuentzler: The question raised by Gary Beaver, "Do you have any data on actual U.S. troops, by name who were killed as a direct result of Fonda's actions?" 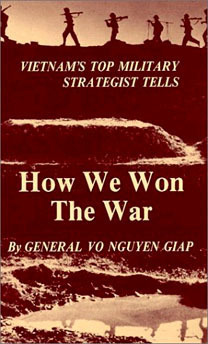 can be answered by reading the book written by General Giap, Commander of NVA forces. Giap clearly indicated that NVA troops were without sufficient supplies, and had been continually defeated time and again. By 1968, NVA morale was at it's lowest point ever. The plans for "Tet" '68 was their last desperate attempt to achieve a success, in an effort to boost the NVA morale. When it was over, General Giap and the NVA viewed the Tet '68 offensive as a failure, they were on their knees and had prepared to negotiate a surrender. At that time, there were fewer than 10,000 U.S. casualties, the Vietnam War was about to end, as the NVA was prepared to accept their defeat. 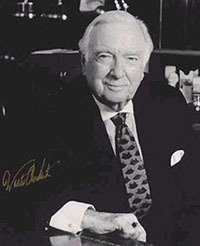 Then, they heard Walter Cronkite (former CBS News anchor and correspondent) on TV proclaiming the success of the Tet '68 offensive by the communist NVA. They were completely and totally amazed at hearing that the US Embassy had been overrun. In reality, The NVA had not gained access to the Embassy--there were some VC who had been killed on the grassy lawn, but they hadn't gained access. Further reports indicated the riots and protesting on the streets of America. According to Giap, these distorted reports were inspirational to the NVA. They changed their plans from a negotiated surrender and decided instead, they only needed to persevere for one more hour, day, week, month, eventually the protesters in American would help them to achieve a victory they knew they could not win on the battlefield. Remember, this decision was made at a time when the U.S. casualties were fewer than 10,000, at the end of 1967, beginning of 1968. Today, there are 58,000 names on the Vietnam Wall Memorial that was built with the donations made by the American public. Although Giap did not mention each and every protester's name in his book, many of us will never forget the 58,000 names on the Wall. We will also never forget the names of those who helped in placing those additional 48,000 names there: Bill, Jane, Tom, Cronkite, and others. Those of us who rotated prior to Walter Cronkite's report on "Tet-68" can clearly state, "We were still winning when I left!"